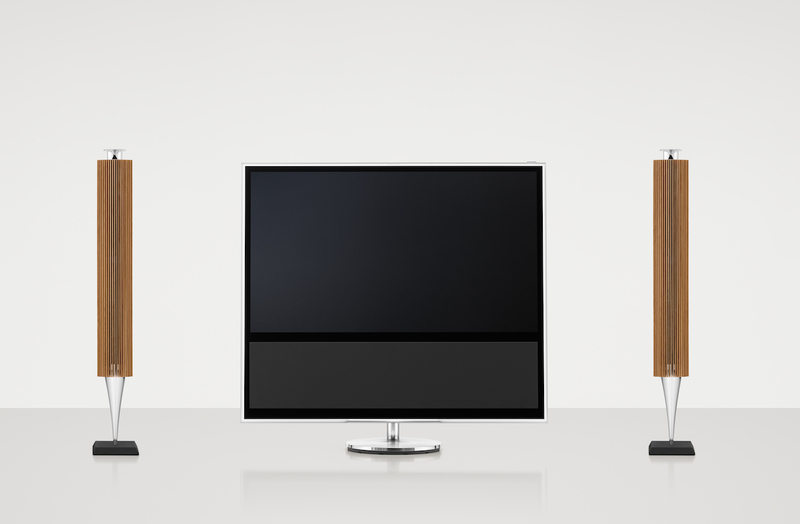 BeoVision series is developed by Bang & Olufsen for many years. But this year the family has a new member with BeoVision 14 TV, a 4K Ultra HD LED TV entirely recrafted inside and out. 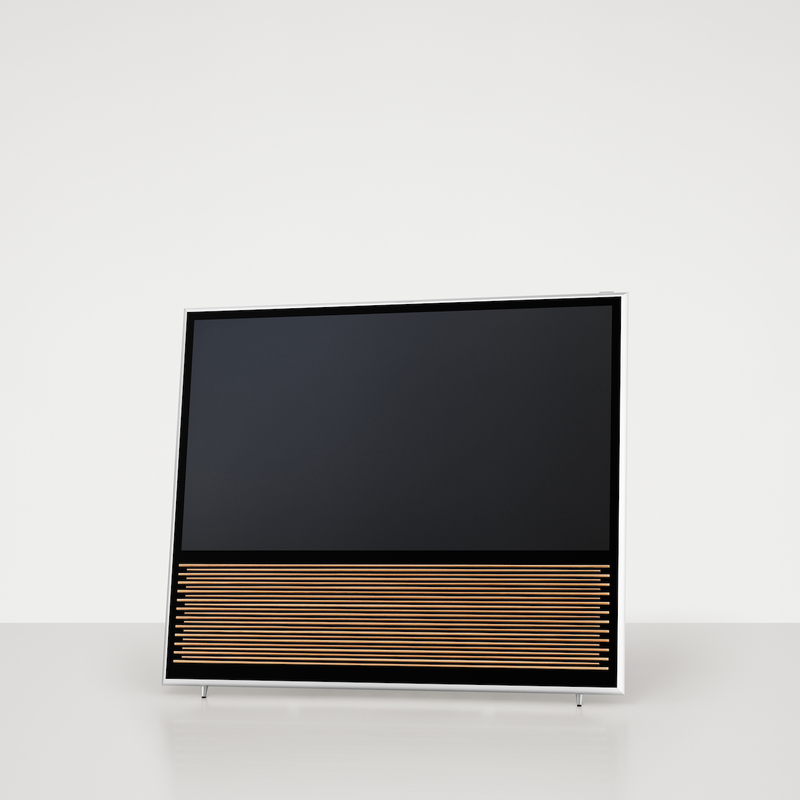 BeoVision 14 TV appears to be a unique piece of design perfectly integrated into your living room, with elegant and discrete shapes, made with noble materials such as oak wood, glass and aluminium. 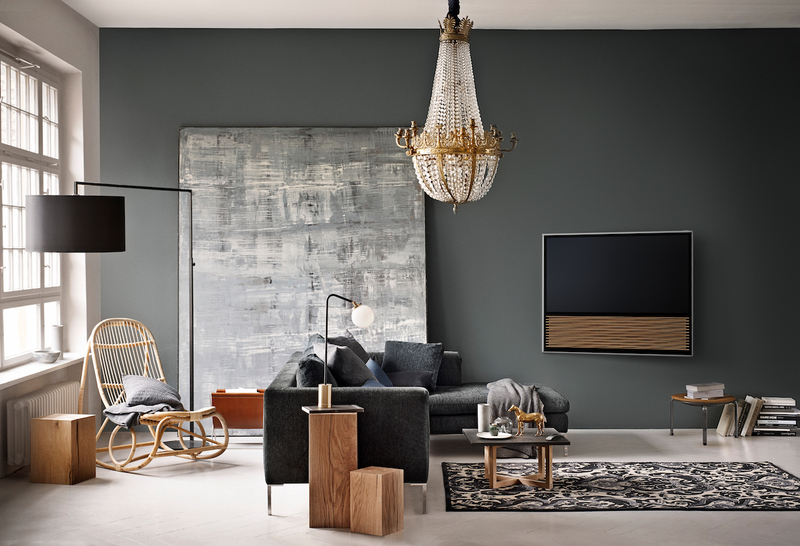 BeoVision 14 TV’s square shape is truly typical from Bang & Olufsen, and this one not only discrete but immerses you immediately into action once the TV is switched on. Plus, you can change the speaker cover depending on your taste and your deco. 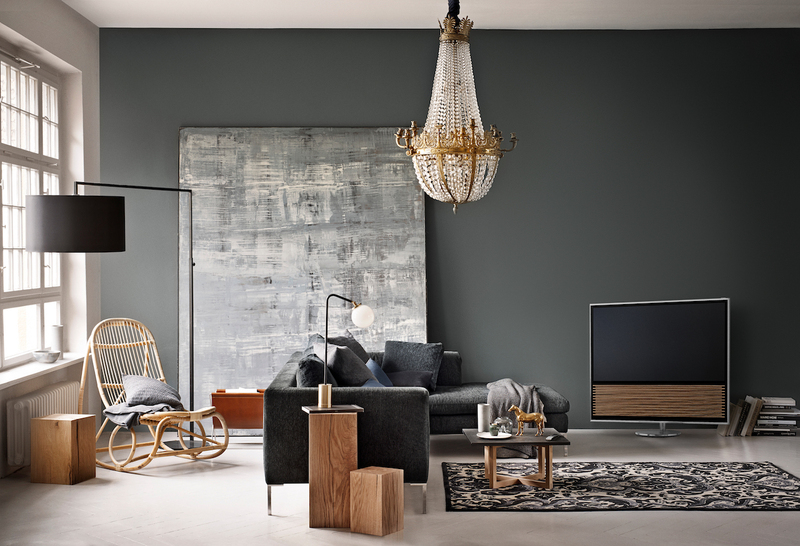 As for the TV, it can be placed whether on a motorised floor stand that adapts itself to any point of view and position, or directly on the floor like any other piece of furniture, and even on the wall like a true artwork. 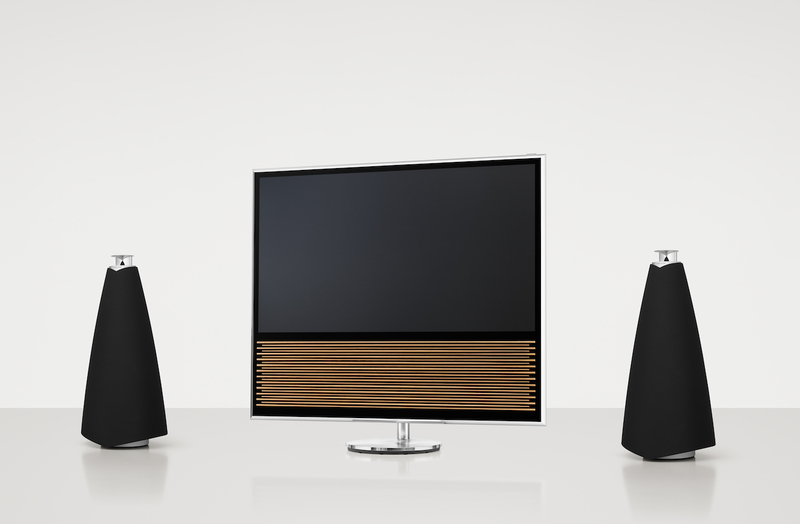 Under the wood, you will find one of BeoVision 14 TV greatest innovation: new speakers and bass unit that deliver a pure sound like no other television before. Moreover, you can connect supplementary speakers wired or wireless and you TV will automatically adapt to this new components. Finally, you can choose between different modes depending on the BeoVision 14 TV program like the Film mode with a larger sound stage and more bass response, or Night mode that avoid disturbing your relatives. More than a simple TV, BeoVision 14 TV is a true entertainment system for all family. Equipped with last Android TV system, your TV will evolve like the software and will always be at the cutting edge of connectivity. Then you will have a quick access to all internet content: apps, news, games…and you will be able to share your photos and videos from your phone and tablet to your TV with Google Cast. Moreover, you will have unlimited access to thousands of songs thanks to Deezer, Spotify and TuneIn Radio and will enjoy the most of BeoVision 14 TV potential in terms of sound. Then, every manipulation are eased thanks to OneTouch function that allow you to program your favourite channels, positions and modes with a single button. 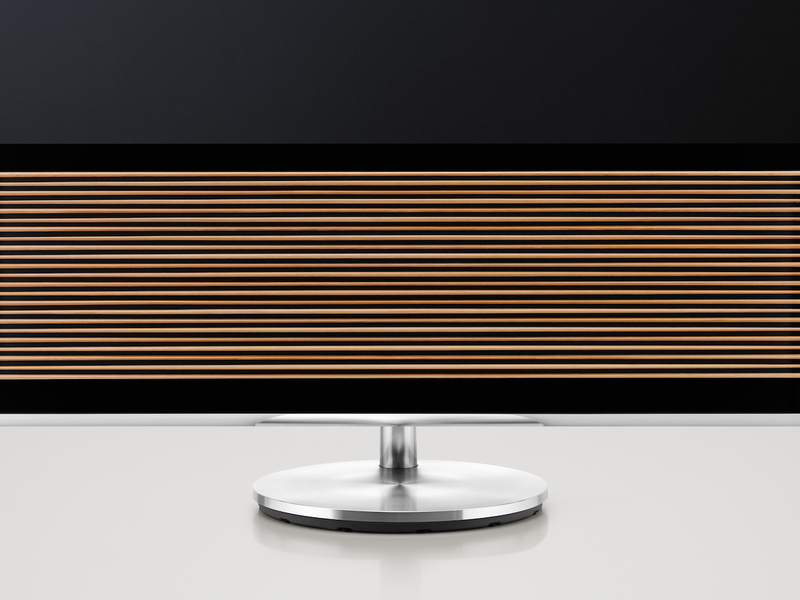 To reach such a quality of sound and image, BeoVision 14 TV uses carefully and precisely worked materials such as anti-reflection front glass that will prevent from any disturbance even in daylight. Automatic Picutre Control function will also sense the degree of light and adjust the image to never loose quality both day and night. 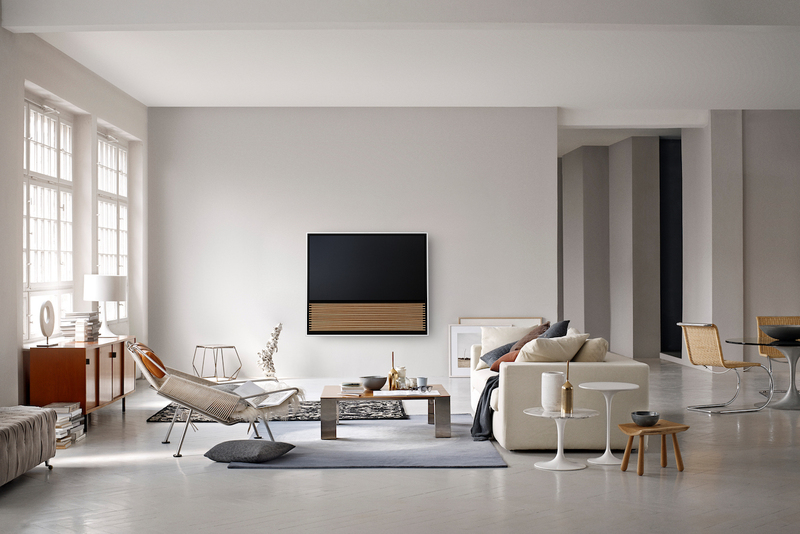 Aluminium structure on BeoVision 14 TV is extra-thin, so it embraces each sound and image while letting plenty of space for the coated front-glass, as the back of the TV reflects your wall colour. Finally, you can control all your Bang & Olufsen apparels with a simple remote but also your TV Box or BlueRay player. Minimalist and efficient right down to the buttons! 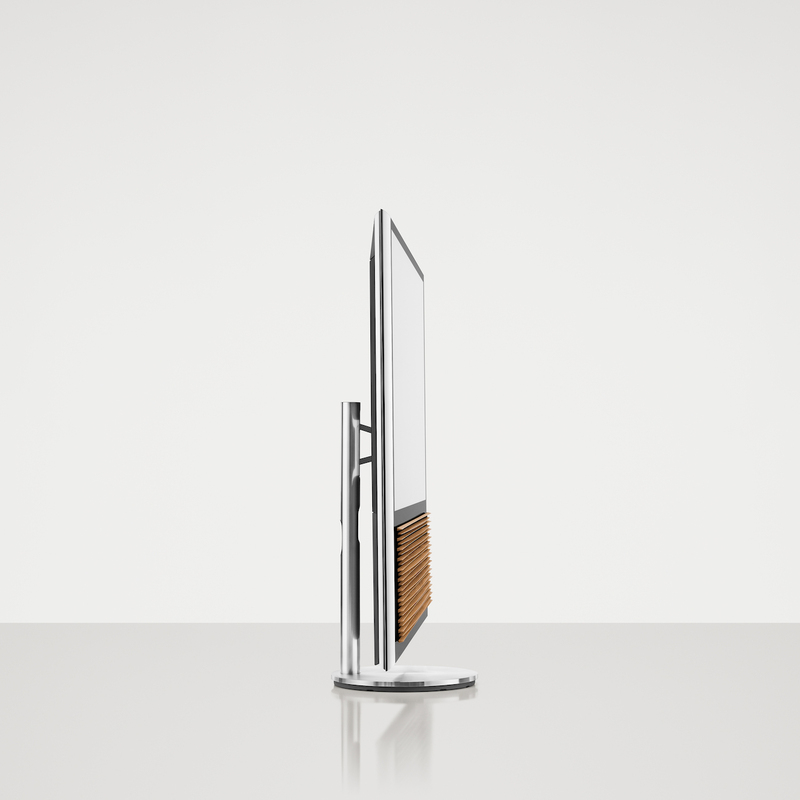 Share the post "BeoVision 14: a true connected and high-tech piece of art designed by Bang & Olufsen"